I'd love to model corals at some point in my lifespan. I like it! It is very pretty. Wow! Never seen this one before! It's gorgeous! When was it made? I just love this picture so much! It's no wonder those little guys love the submarine so much! 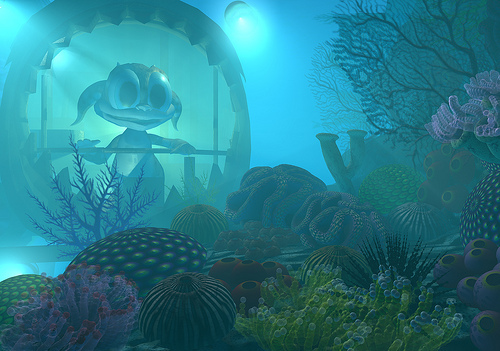 I think it's cool how they made the C1 submarine rendered here and some aquatic wild life,too!